With busy days of working full time plus studying on the side for my qualifications and then trying to fit in my own training schedule – it’s needless to say coffee became my best friend this summer. So I was over the moon when Belmio offered me some samples of their smooth roasted deliciousness… obviously I had to try every favour… call me a romantic, but Valentina stole my heart with maximum intensity and a hint of chocolate… ! 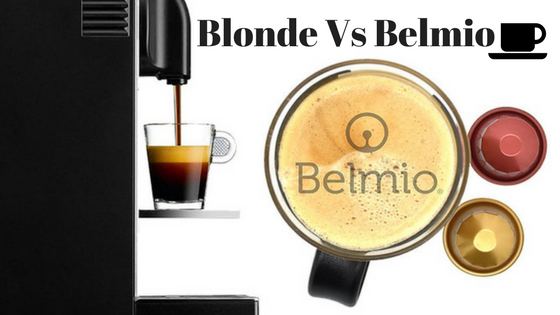 Anyways, never one to hold onto a secret weapon, I had to share some details on mine - I’d definitely recommend you check out Belmio for a Nespresso alternative… not too costly either! Coffee is undeniably a representation of culture, flavour and aromas. The new Belmio range, with its eight exquisite blends, captures all three. Presented in premium aluminium capsules that protect against oxygen, light and moisture, the Belgians, as with their chocolate, know how to take coffee to the next level. For when only the best is good enough, Belmio delivers quality that can be savoured pod after pod. ​The Belmio coffee story begins with the very roots of the flavour, in the high-altitude coffee plantations. Here we source what we believe to be the very best Arabica and Robusta beans, with the most unique flavours and the gentlest characters. Next our master roaster subjects every bean to yet another strict selection process, after which he blends them virtuously into sublime, lyrical mélanges. Our coffees are roasted slowly and intensively for a lengthy period, resulting in an extra intense and well-balanced flavour, full body and unique character. For the modern coffee drinker only the best is good enough, which is why Belmio selects only the best Arabica and Robusta beans for eight distinctive and rich coffees. Choose from Allegro, Origio, Largo, Risoluto and Intenso, and from the Belmio Lovers Range, Valentina, Seducio and Aphrodicia. Belmio use only aluminium capsules, an industry first, because it is the best material available today to protect quality coffee. Aluminium is also the only material that interacts with coffee machines in such a way to consistently produce the best tasting and aromatic coffee. With the exception of the Expert, Prodigio, Vertuoline and U machines, all Belmio coffee pods are fully compatible with Original Line Nespresso machines. The pods cost from £2.90 for 10 pods and are available in the UK from www.belmio-cafe.co.uk. A 50 capsule gift pack assortment is also available, priced £16.50.